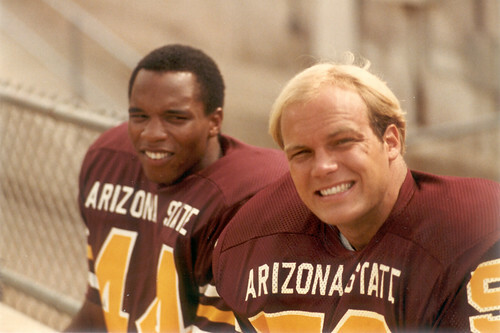 1980 ASU Football – Willie Gittens and Bryan Caldwell, a photo by SearchNetMedia on Flickr. ASU Football Alumni Bryan Caldwell has recently been diagnosed with stage 2-3 Hodgkins Lymphoma. Help him “tackle” this challenge he is facing. Your PRAYERS and DONATIONS are appreciated.